Retailers are racing to adopt new technologies, like the self-scanner Walmart has rolled out in 22 Canadian stores, to stay competitive in a challenging industry. But experts say the trend toward automation threatens more jobs in a sector that is already slashing head counts. 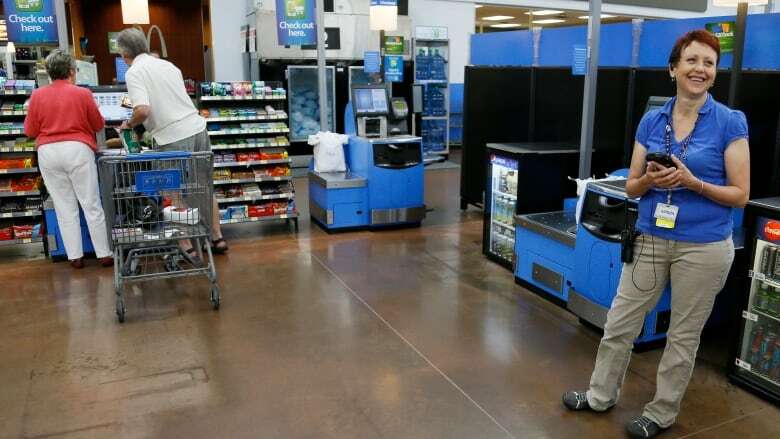 Self-service checkouts: who really benefits from the technology? Ontario's minimum wage is proposed to jump on Jan. 1, 2018 from $11.60 an hour to $14, and increase another dollar the following year. Meanwhile, in Alberta, the minimum wage for most employees will rise from $13.60 to $15 per hour next Oct. 1. Is it time for a tax on job-stealing robots?